Georgia’s capital is buzzing with hip restaurants, quirky cocktail bars, and new cultural attractions. Here’s what to do on a trip to Atlanta. There’s a reason Atlanta is called the Empire City of the South. In the last eighteen months alone, its crane-filled skyline has yielded a six-block shopping mecca, two major cultural attractions and dozens of restaurants where reservations are harder to come by than a Falcons Super Bowl championship. Everywhere you look, there’s a celebrity; after all, Georgia’s film industry is one of the largest in the country, after California and New York. Marcel: With eight Atlanta restaurants (four of which opened in the last eighteen months) and at least four more in the works, Ford Fry is Atlanta’s most sleep-deprived restaurateur. One of his latest and most buzzed-about offerings is Marcel, an unabashedly glamorous steakhouse in the Westside Provisions District serving the priciest porterhouse in the city ($124.95 for 30 ounces). Thankfully, Fry is a master in the art of creating bold dining experiences, and the restaurant’s brass-top tables, curved leather banquettes, and dapper bartenders shaking cocktails will help you forget the impending bill. Revival: The second Atlanta restaurant from Top Chef finalist Kevin Gillespie, Revival showcases the red-bearded culinarian’s signature unpretentious style. It’s housed in a historic home in the food-centric Decatur neighborhood and features deeply Southern fare such as creamed Georgia white shrimp served atop red Savannah rice. Opt for the family-style dinner, where your choice of entrée is served with an assortment of sides like pole beans and skillet corn bread from the Gillespie family cookbook annals. Wash it all down with a Georgia mint julep or a toasted old fashioned. Atlas: Part museum, part restaurant, Atlas in the St. Regis Atlanta allows diners to eat and drink inches from original works by Picasso, Van Gogh, Chagall, and Matisse. The art, part of British billionaire Joe Lewis’ private collection (Lewis founded Tavistock, which owns Atlas), complements the masterful food from celebrated Atlanta chef Gerry Klaskala and chef de cuisine Christopher Grossman, formerly of The French Laundry. When available, order the sprouts salad sourced from Decatur-based Vonnie’s Greens and the tender dry-aged ribeye. The wine list favors bottles from old-school European winemakers (think Morgon by Daniel Bouland) over punchy newcomers. Don’t leave without browsing the library lounge, which displays a curated selection of required Atlanta reading like A Man In Full. Little Bacch: Fifty-two seats. Four entrees. One singular experience. 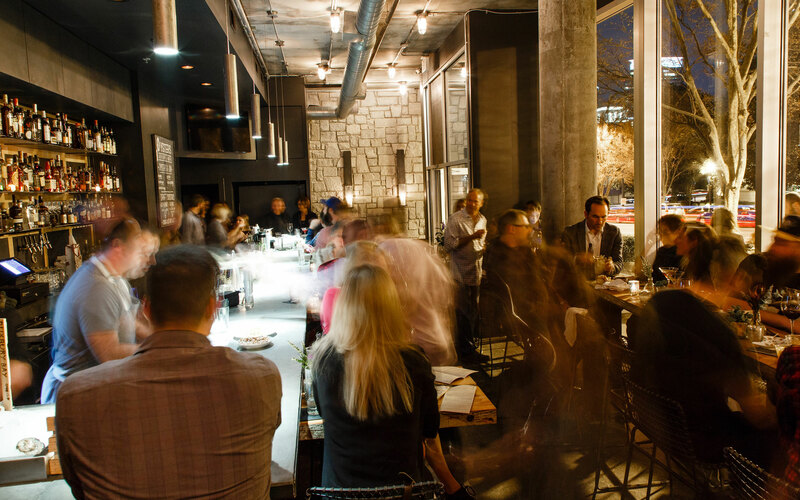 That’s what you’ll find at Little Bacch, the baby sibling of Atlanta’s enduring Bacchanalia, located a floor above. This little jewel in the Westside Provisions District is hidden and quiet, with teal walls and leather upholstery. Begin with a martini and caviar service, and you’ll feel like you’ve been whisked away to a Parisian expat haunt. The Summerland Farms salad, made with vegetables from the suburban farm tended by Little Bacch owners Anne Quatrano and Clifford Harrison, is noteworthy, but Chef Joe Schafer’s most talked-about menu item is the whole roasted chicken, stuffed with foie gras and presented with its feet and head jutting out of the casserole dish. Food Halls: Atlanta’s Old Fourth Ward neighborhood is home to two brand-new food halls: Ponce City Market and Krog Street Market. The former represents the largest adaptive reuse project in Atlanta history, transforming the circa-1926 Sears, Roebuck & Company building into 300,000 square feet of office, residential, retail, and restaurant space. The Central Food Hall anchors it all, with restaurants from celebrated chefs Anne Quatrano, Linton Hopkins, and Sean Brock. Over at Krog Street Market, a nineteenth-century stove warehouse is now home to sixteen food and beverage outposts, from a dumplings stall helmed by relative unknowns to a Mexican restaurant operated by Ford Fry. Little Trouble: This trendy bar offers a gritty, neo-noir experience in the otherwise upscale Westside Provisions District. Conceived by the team that launched Decatur’s hip Victory Sandwich Bar, it shakes up “super crafty cocktails” and highballs (like whiskey punch) that can be ordered individually or in portions serving two to four. If you’re looking for Atlanta’s cool kids, you’ll find them here. Bar Margot: What happens when you cross two of Atlanta’s most respected chefs with two of its best barmen? You get Bar Margot, a quirky cocktail lounge inside Midtown’s decidedly non-quirky Four Seasons Hotel. 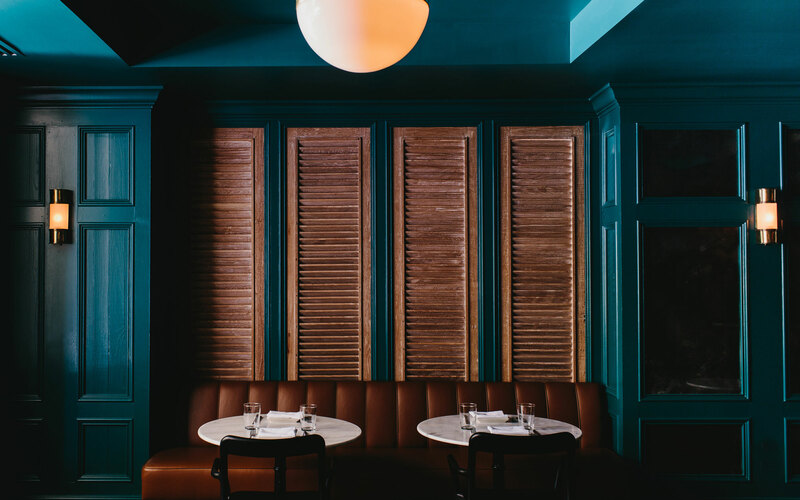 (The bar’s name is a nod to Margot Tenenbaum from The Royal Tenenbaums, which tells you a lot about the atmosphere.) Prolific chef Ford Fry, Four Seasons Executive Chef Robert Gerstenecker, and craft cocktail wunderkinds Greg Best and Paul Calvert have created a groovy place with intricate drinks, handmade pastas, and vintage vinyl records playing in the background. Grain: In Atlanta, it’s a lot easier to find a good restaurant with a decent cocktail program than a good cocktail bar with decent food. Grain is an exception. Located in a sliver of a space in Midtown, this convivial joint from the creators of Cypress Street Pint & Plate and Seven Lamps specializes in bold cocktails like the Oyster Shooter, a gin, cucumber, and lime concoction that ups the ante with wasabi, squid ink, and a Kumamoto oyster. In a hurry? There’s always a cocktail or two on draft. Open until 3 a.m. six nights a week (that’s late for Atlanta), this is a place where restaurant industry folks come for cocktails, conversation, and charcuterie. In that order. Buckhead Atlanta: For seven years, six blocks of prime real estate in the heart of Atlanta’s Buckhead neighborhood sat vacant while recession-battered developers wrung their hands. But at last, Buckhead Atlanta is open, sporting high-end shops like Alice + Olivia and Jonathan Adler. You’ll also find local boutiques like Bella Bag, where you can purchase certified pre-owned handbags from Dior, Gucci, and Prada for a fraction of the retail cost. For six stories of home décor inspiration, walk across Peachtree and enter RH Atlanta: The Gallery at the Estate—the largest Restoration Hardware store in the world. Project Love: Created by Atlantans Amy Crouse and Elizabeth Mathes, Project Love is a new sleepwear line that donates more than half its profits to meeting the needs of women around the world. The popular pieces, identifiable by their signature patterns, are available at independent boutiques such as Buckhead’s W.Port, which specializes in new lines. Kane: Atlanta native Elizabeth Kane Wing’s eponymous Westside boutique carries well-known lines like Vince alongside jewelry from emerging Atlanta designer Shelly Brown (wife of musician Zac Brown). The industrial steel sign hanging behind the register is laser-cut with Kane’s family crest, exemplifying the store’s two sides: edgy and traditional. Center for Civil and Human Rights: Prominent African American architect Phil Freelon designed the landmark building that houses the National Center for Civil and Human Rights, Atlanta’s $68 million attraction in Centennial Olympic Park. Exhibits include “Spark of Conviction,” curated by Jill Savitt of the U.S. Holocaust Memorial Museum, which focuses on the modern-day global human rights movement. There’s also an exhibit by Tony award­–winning playwright George C. Wolf about the American Civil Rights movement, in which visitors sit at a mock lunch counter and imagine the emotions faced by peaceful protestors while their seats rattle from fictional kicks and their headphones echo with taunts. College Football Hall of Fame: This museum is a shrine to the unofficial religion of the South. When you arrive, you’ll be asked to designate your favorite teams. The interactive exhibits throughout the building will then offer information on the players and games you care about most. In the Hall of Fame gallery, you won’t peer at plaques; instead, you’ll search 10 flat-screen digital displays for statistics on your favorite inductees. 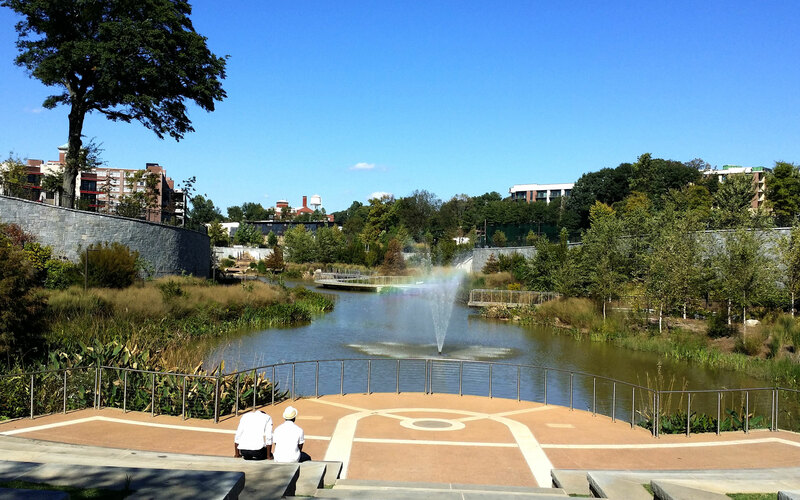 Atlanta BeltLine: Hugely popular with locals, the BeltLine showcases one of the most comprehensive urban renewal efforts in the United States, repurposing 22 miles of abandoned railroad corridors into a labyrinth of parks and trails similar to New York City’s High Line. Arrive on a sunny Saturday, and the sidewalks fairly buckle beneath bikers and pedestrians. In once-gritty neighborhoods, restaurants along the BeltLine (Ladybird, for example) have two-hour waits for tables, and on hot afternoons, King of Pops vendors along the pathways run out of paletas. SCADfash: The city’s only fashion museum, this 10,000-square-foot space on the Atlanta campus of Savannah College of Art and Design educates students and visitors alike about fashion’s history and cultural significance around the world. “Oscar de la Renta,” SCADfash’s inaugural exhibit (on display through December 31), features some of the late designer’s most famous gowns. In January, the museum presents “I Feel Ya: SCAD + Andre 3000 Benjamin,” which showcases 47 jumpsuits scrawled with the Outkast member’s musings. 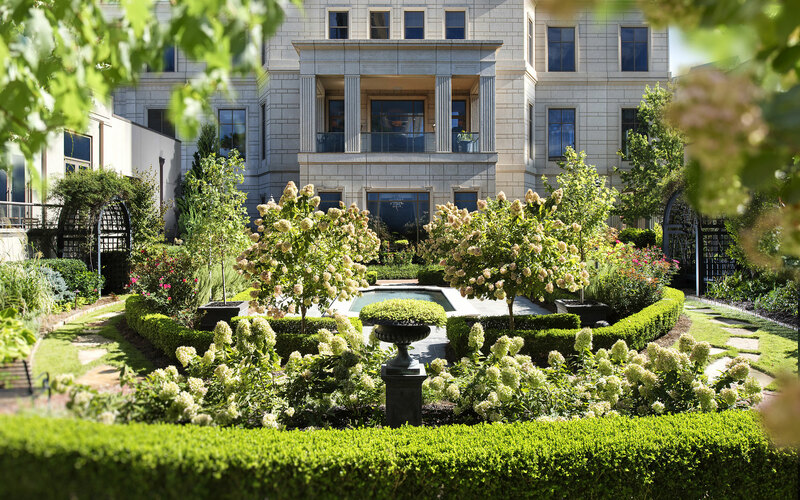 Mandarin Oriental, Atlanta: With a formal English garden and a 15,000-square-foot spa, this five-star hotel is an oasis in the heart of Buckhead. Its 42-story landmark building (designed by Robert A.M. Stern) has 127 rooms; spring for one with a balcony, which affords some of the best people watching in the city. Georgian Terrace: Though it’s nearly a century old, this grand dame in Midtown remains as hot as the day in 1939 when it hosted a gala for the stars of Gone with the Wind. Celebrities such as Owen Wilson and Vince Vaughn have shot scenes here, and it’s the hotel of choice for practically every touring theatrical production that performs at the Fox Theatre directly across the street. When you’re not stargazing, descend to the bottom floor for a craft cocktail from speakeasy-style Proof & Provision. Allison Entrekin is an executive editor with Southbound Magazine and the Georgia Travel Guide. She covers the Southeastern United States beat for Travel + Leisure. Follow her @aweissentrekin.